Private Bass Guitar tutoring lessons Valley Village, CA. Check out some of our most popular teachers near Valley Village, CA including Los Angeles, Long Beach, Irvine, Glendale and Burbank. Brian discovered his talent and passion for teaching while still in college, and has been teaching guitar and piano in Southern California for over 20 years. Gifted at teaching students of all ages and abilities, he combines patience, creativity, imagination and boundless enthusiasm with solid professional training and experience. Brian also has over 10 years experience teaching piano and guitar to blind and autistic students. 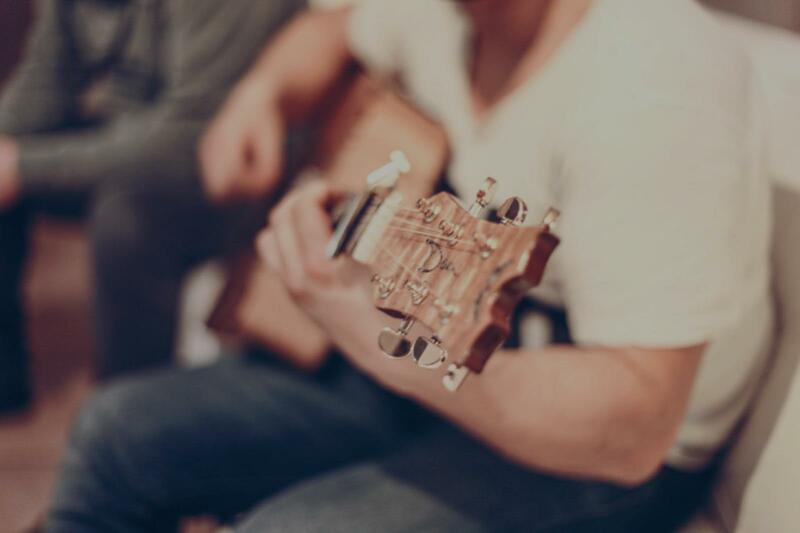 A lifelong musician, Brian received his first musical training at the age of 4 and 5 years when his actor/singer Dad and musically talented Grandma taught him to sing and play the mandolin. He began piano lessons at age 5, and formal guitar instruction at the age of 10 years. , developing mastery of rock guitar and blues performance and improvisation. Brian went on to complete a Bachelor's Degree in Classical Guitar Performance from California State University, Los Angeles. Passionate about all kinds of music, Brian's studies include choral music and conducting, Gregorian chant (at the Monastery of St. Pierre de Solesmes, France), and Master Classes with AndrÃ©s Segovia and Christopher Parkening. In 1984, he participated as a member of the Honor Choir for the ceremonies of the Olympic Games in Los Angeles, which included recording of original music by Philip Glass for the Olympic Games under the direction of David L. Wolper and Mr. Glass. As a jazz guitarist, Brian continues to grow musically in association with his colleagues of the Naomi Jazz Group, and other close musical friends who include students of the late, great Ted Greene. â¢	the development of musicianship through performance. My first interest with each new student is to discover how he or she learns, and then to apply appropriate teaching techniques to maximize their potential. I gear my lesson plans to the individual and strive to optimize the learning potential of the student. In a lesson with me you can expect to never be bored, to laugh a lot, learn a lot, be positively engaged emotionally and challenged intellectually. I believe that learning is maximized when the student is enjoying the experience, and is faced with challenges appropriate to their skill level. I aim to make learning music fun, choosing musical selections to learn in the style and genre that relate to the student's interests and aspiration. When my students perform in concerts, recitals, juries, auditions, recording sessions or simply for friends and family, they have self-confidence because they know precisely the "how" and "why" of everything required to perform well. My goal with students is to build a solid foundation in instrumental technique and thorough understanding of Music Theory at their appropriate level. On a monthly basis, all my students practice performing pieces they are working on during the lesson time, with family/friends as an audience if desired and appropriate, and/or using digital recording to help the student develop a critical ear for their own playing. Music stands, guitar/s and guitar stands, Dynarelle cushion, footrests, Korg 88 fully--weighted digital keyboard, Zoom H4 digital recorder. As well, I have guitars and equipment both for teaching and performance of various styles, as below. Students will have the opportunity to learn about, play and become familiar with any of these instruments/equipment according to their interests and skill levels. Guitar stands, guitar/s, Zoom H4 digital recorder. Generally I do not transport my Korg 88 keyboard to the student's home for lessons, but I can if necessary. However, I do require that piano students have their own piano/keyboard or at least reliable access to one for practice between lessons. Guitar students should also have their own guitar. I can advise on appropriate instruments and can help students find a suitable guitar for their learning level and price range. Brian was fantastic and the lesson was fun! Really pumped about my next lesson! I have some things to practice and I already feel like I can play some guitar!! Undoubtedly Brian has a deep and extensive knowledge of piano. I feel motivated by his hands-on approach to teaching. Can't find a teacher in Valley Village, CA? The average cost of 60-minute bass guitar lessons in Valley Village is $80. While the exact cost will vary depending on the teacher, type of lesson, and your location, you should expect to spend anywhere between $80 and $80 per hour. For the best experience, we typically recommend 60-minute bass guitar lessons. However, students looking for a more affordable option may want to consider a shorter lesson length of 45 or 30 minutes. On average, 45-minute bass guitar lessons are 25% less expensive at $60, and 30-minute lessons cost 50% less at $40. Curious how much bass guitar lessons cost in your area? Do a quick search to get local prices for the best bass guitar teachers near Valley Village. "The best lesson I have taken! I look forward to future lessons because I am learning so much!" e already given homework and expectations to meet and ONLY because Ben absolutely does his best to help and support your goals and what you intend to accomplish in the future. He wants you to succeed. :)"